The Bob graham. The legendary 42 summit circuit of the Lake District to be completed in 24 hrs. Sir John Allan and his crack team of fell runners set off from Keswick to climb Skiddaw Gt Calva Blencathra before leg 2 up Clough head and many more mountains such as Dollywagon Bowfell Scafell Pike, Pike o stickle, kiirk fell and other pythonesque names before the final, Robinson. The training all paid off as John finished in around 22 hrs ? After the event, whilst in a state of delirium, John may have proposed to his fiancé which he will no doubt contemplate when he regains consciousness. At the LAMM (Lowe Alpine Mountain Marathon), a 2 day navigation and overnight camp on The Isle of Harris, veterans Jackie and Phil Scarf were first in their age group with Barbara Lonsdale and Jo Buckley First Ladies pair with the whole event, including the weather, in top form. On to shorter stuff with the 50 mile Cannonball Calderdale way ultra. It’s starts off rough (Todmorden) and ends bad (Tordmorden) but the rest is beautiful taking in Blackshaw head, Heptonstall, Wainstalls, bits you would rather not run, and then onto North Dean Woods, Norland, Cragg Vale and Stoodley. 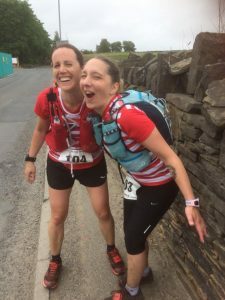 Calder Valley annihilated the rest by winning in several categories starting with Kevin the bolt Hoult who went under 8 hrs setting a new course record and winning. Kevin put his success down to choosing this over a day of diy at home. The club also picked up team prizes in the paired categories with Carolyn Shimwell and Harley Beecroft the winning ladies and Dougie Ziggy Stardust Zinis pairing with Luke Meleschko and Ian illistone with Luke putting in a strong sole effort at the end. Lee Shimwell also completed the course, as the Joker from Batman (with that Jimmy Hill grin). At Pen-y-ghent, Darren Kay was third and first vet 40 in 51 minutes. 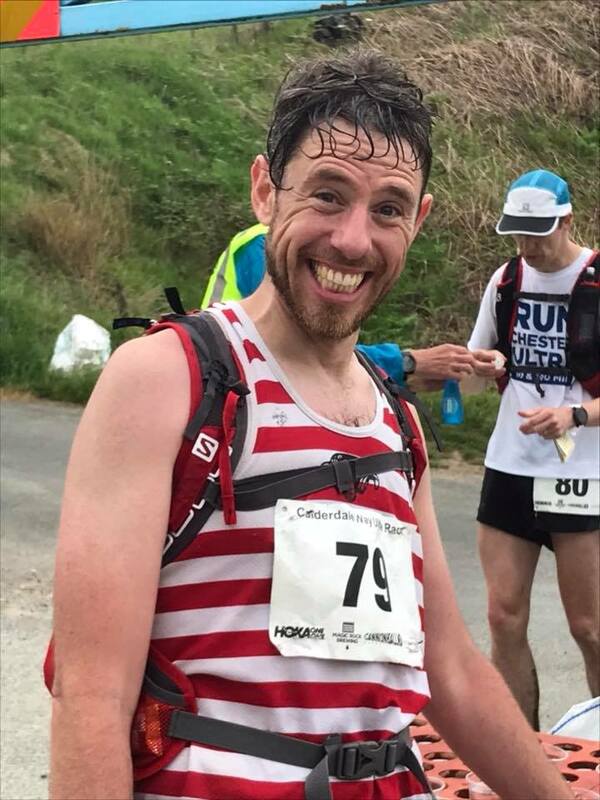 Martin Howard chased some of the top names in fell running at Coniston Gullies, coming fifth. Super vet Dave Hammond was 29th and second v50. Will Hall was second in the under 14s. Holly Page continues to excel in the World Skyrunning series and lies second overall. Congratulations to Jackie and Phil Scarf on completing the Bob Graham Round on 11th June, along with friend Doug Gurr. Jackie came in before the boys, in 23:35; with Doug completing in 23:36 and Phil in 23:42. And on the next weekend, Dave Almond romped round in a speedy 21:51. Well done Dave! We are going to run out of room on our plaque of Bob Graham completers! !